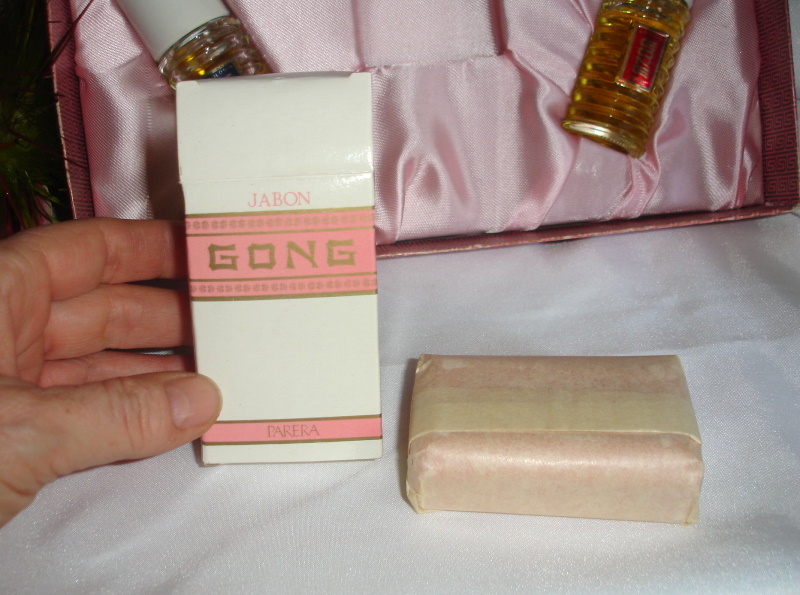 Description: This is a perfume no one seems to be much aware of, but I have a nice collection of Parera perfumes, especially Gong. 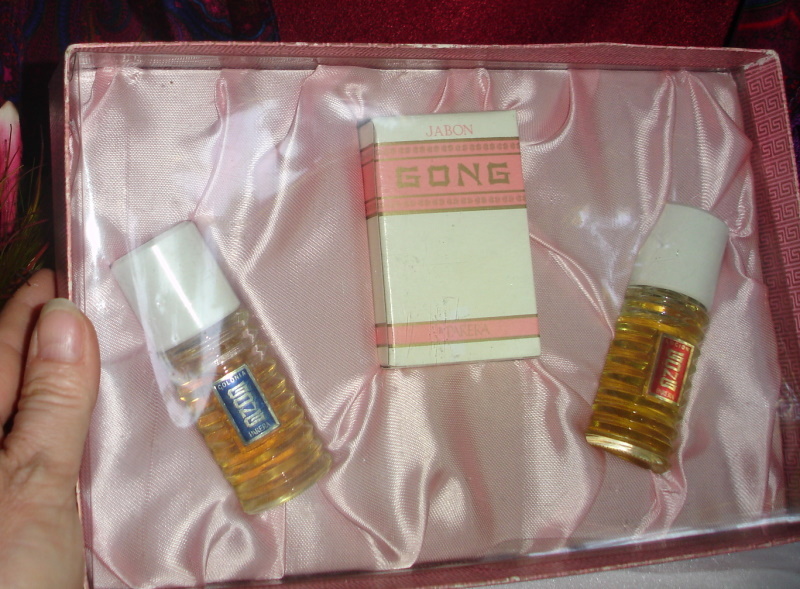 This is a nice 1950s set of the colognes and the soap. Parera Perfumeria emerged from Barcelona, Spain in the early 20th century and launched a handful of perfumes, (perhaps the most controversial of which was named 'Cocaine en Flor'). In the 1930s perfumes took on new themes as travel became popular again. Parera turned to the orient for inspiration. The 1936 release GONG offered a means to "travel with the senses". The Far East seemed so much more within reach with this blend of sunny florals and exotic spices. 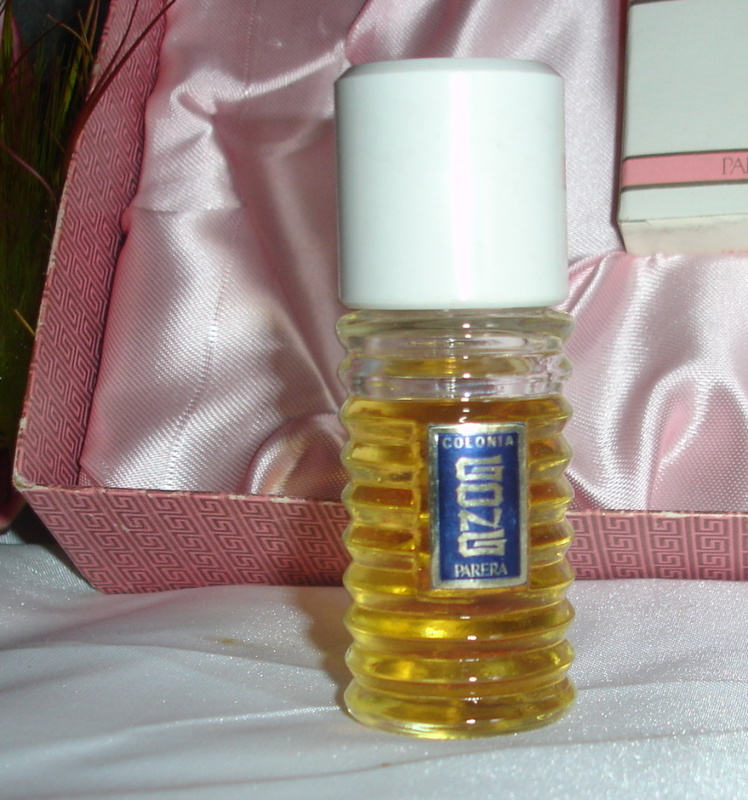 This perfume has both oriental and chypre characteristics - a bittersweet drydown lingers on the skin just as fond memories of a holiday linger in the mind. Alas, GONG swiftly drifted from recollection, and remains a mystery - much like the Orient itself - to this day. 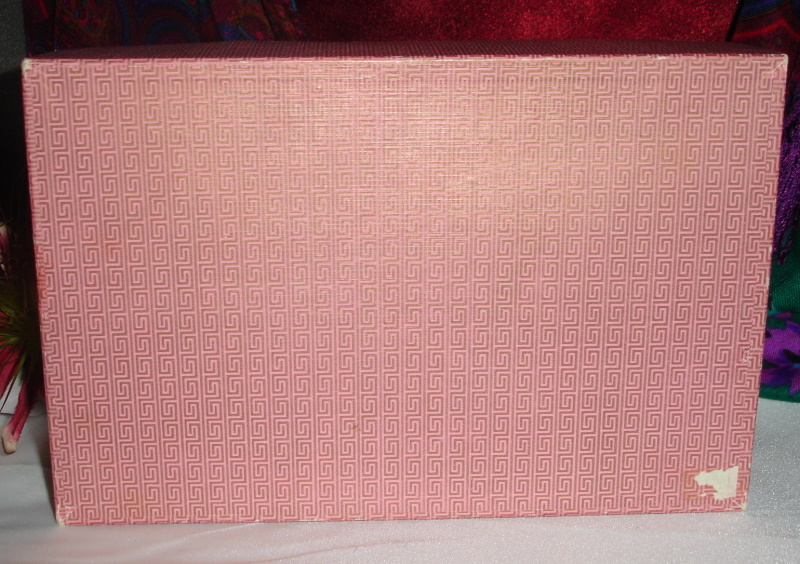 Great rare vintage perfume set for your collection of Oriental perfumes.